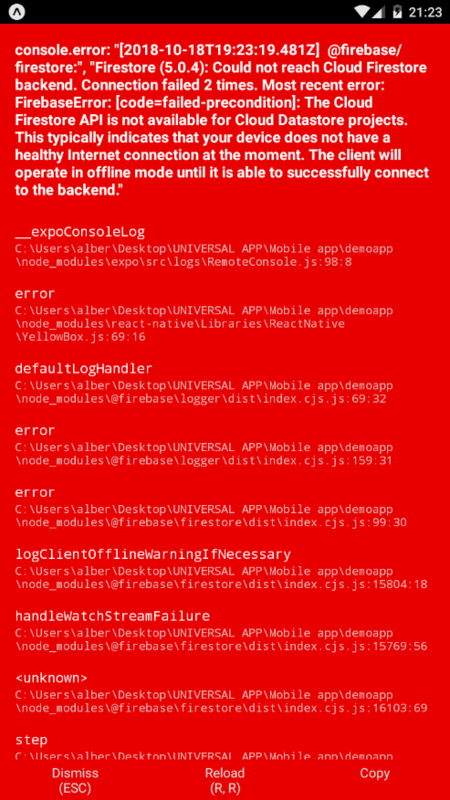 The app or the backend may respond that there is an error (red screen), saying that could not reach Cloud Firestore Backend. 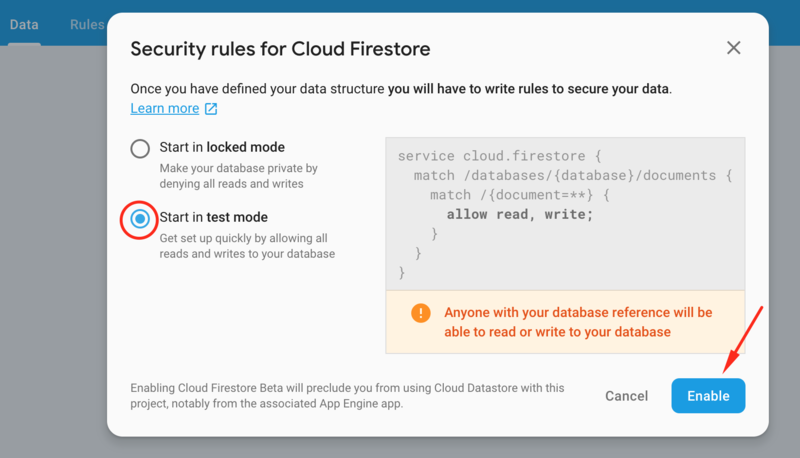 Recently, Firebase stopped creating automatically Firestore database when you create a project. For now, select start in test mode.